One of the screen’s most accomplished artists, Akira Kurosawa delivered some of the strongest work cinema had to offer for an impressive amount of time — dipping in and out of innovation and invention along the way for both polished pieces few other directors can match, as well as engrossing experimental films like ‘Dreams’. There is little denying he is a master. But what are his greatest works…? Here is the list of top Akira Kurosawa movies. ‘Red Beard’ succeeds, for the most part, off the back of Toshiro Mifune. He’s one of this writer’s favorite actors given the strength and impressive variety of performances the man was able to pull off. Normally, however, those works were achieved in the presence of an ensemble cast. In ‘Red Beard’, Mifune’s powerful persona is very much the centerpiece of the drama and Kurosawa gives him as much room as he wants to flex his impressive acting method. It was the final piece the two would make together after heated arguments on set, but at the very least it serves as a triumphant swansong for one of the screen’s most rewarding actor + director partnerships. Sprawling in a similar way to ‘Seven Samurai’, Kurosawa’s 1960 ‘The Bad Sleep Well’ is a crime epic featuring off-beat performances from many of his regulars that takes a far darker tone than any of his previous works- worming away from the prevailing humor and hope we see in Kurosawa’s original canon and working towards a more misanthropic trend that would find its explosive culmination in 1985’s ‘Ran’. His direction is tight, writing complex and editing sprightly considering the meaty run-time his picture occupies. A classic piece of ‘60s crime cinema that looks ahead to the next decade’s genre renaissance in its grimmer themes and grimy characterizations. A much-loved tale of life and its intrinsic relationship to death, ‘Ikiru’ sees an old man stricken with cancer attempt to find the meaning in his miserable existence and what marks Kurosawa’s attempt at this oft-retold tale out is its exceptional simplicity and devotion to emotional realism. 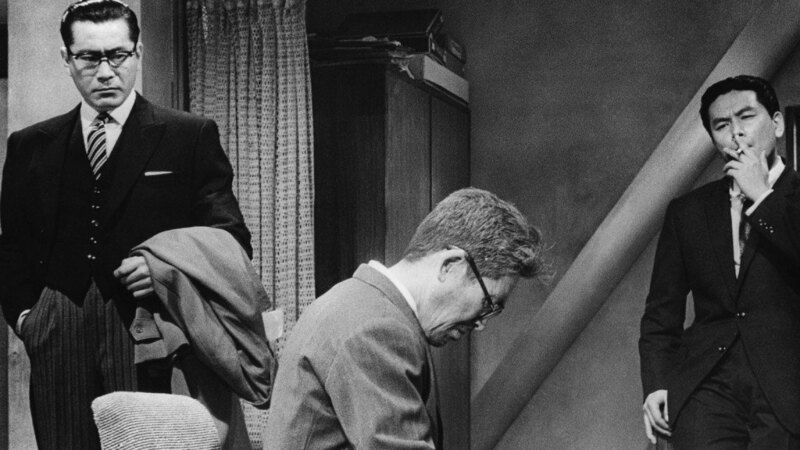 Rather than a grand catharsis or operatic epiphany achieved in front of thousands of people bringing together every single shallow cinematic idea to try and inject the moments of enlightenment with bombast and scale- Kurosawa’s old man realizes things alone. He is quiet, somber and observed with a silent intimacy which graciously shares these important events with the audience, rather than shoving them right down our throats. 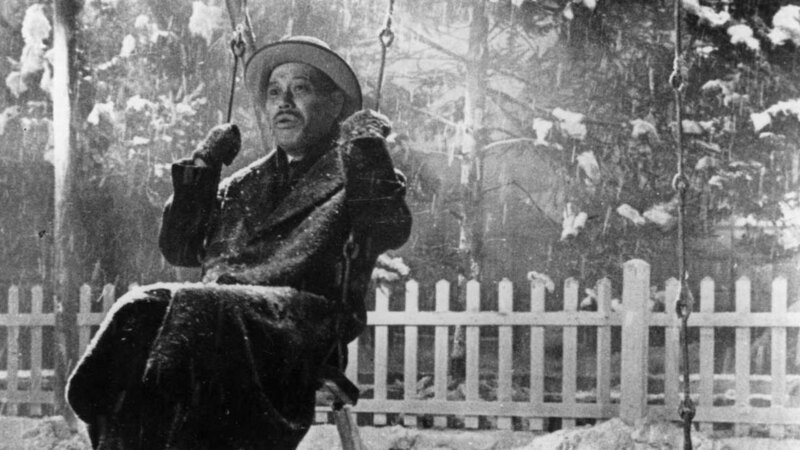 ‘Ikiru’ is not as powerful as the likes of ‘Wild Strawberries’, ‘Late Spring’ and ‘The Life & Death of Col. Blimp’- but it does hold a special place in Kurosawa’s canon as one of his most deeply human and utterly moving works. The first of many Kurosawa works which spread direct inspiration and even re-makes in Hollywood, ‘The Hidden Fortress’ is the template for George Lucas’ classic ‘Star Wars: A New Hope’. Despite its sweeping sci-fi fantasy and dazzling special effects, Lucas’ weak directorial vision cannot compete with Kurosawa’s continuously strong form so fans of the space-saga should definitely seek this movie out. Its witty, adventurous and packed with spectacle as massive crowds of prisoners descend gigantic staircases out for the blood of their captors and samurai cavalry ride at top-speeds after Toshiro Mifune’s dark rouge. It’s a movie that allows its characters to shine far brighter than the situations they are trapped in- a polar opposite of the detached one-liners and surface glamour that Lucas’ series exuded as time went on. As I’ve said many a-time: The first 80 minutes of ‘Ran’ are an absolute masterpiece. They so carefully compose an escalating drama of betrayal and paranoia that fully lives up to the mental chaos of Shakespeare’s source text whilst also transporting the audience to the gorgeous but intimidatingly vast landscape of Feudal Japan. This expertly written, acted and directed drama culminates in one of the finest scenes ever shot: A siege free of diegetic sound, backed by Toru Takemitsu’s haunting funeral march as soldiers without name or affiliation are cut down in droves to service the greed of more ambitious men. Lives spent for the sake of fuelling ego and lust for power. It so purposefully and emotionally evokes everything that the text stands for that by the end of this half of ‘Ran’ the film has little more to say to match it. Other than the indelible work of Mieko Harada as Lady Kaede there is very little that warrants it continuing beyond that point. If ‘Ran’ had been crafted solely around this climax, then it might just have been one of Kurosawa’s very finest features. 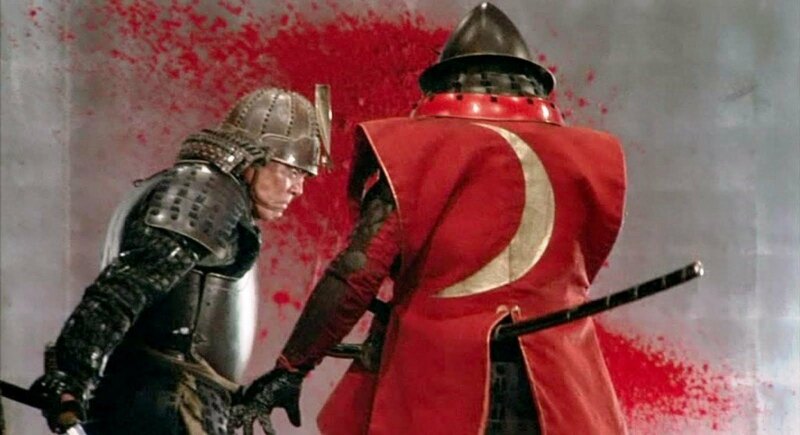 I love Shakespeare’s original text but for my money what Kurosawa did with ‘Macbeth’ in ‘Throne of Blood’ somewhat exceeds the passage of the ferocious play. The images the director is able to conjure with the almost Gothic sense of atmosphere and eerie supernatural occurrences make it as vivid and scary a film as the master ever crafted. 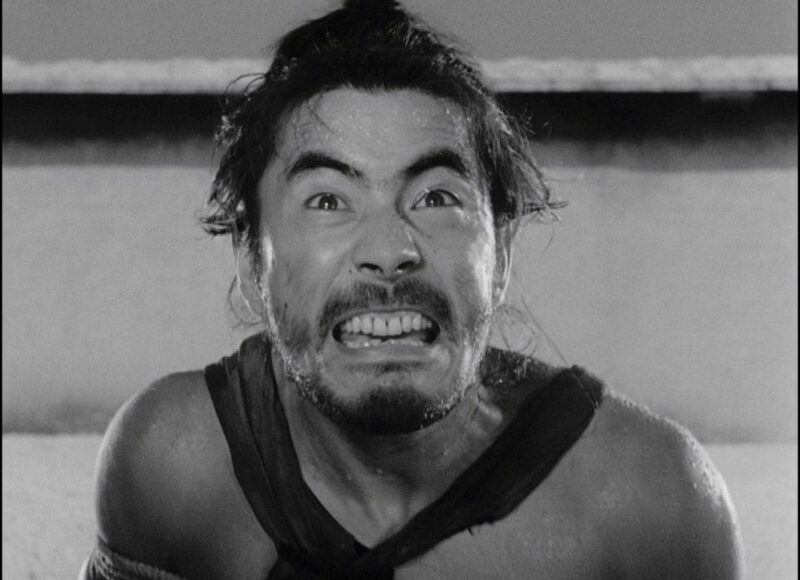 Moreover, Toshiro Mifune gives one of his finest performances as a Macbeth (here named Lord Washizaku) of whom has a far more gradual and emotionally challenging descent into madness than in the play. ‘Throne of Blood’ is vibrant, organic, imbued with a mystifying sense of dread and hands-down my favorite cinematic Shakespeare adaptation. A highly influential piece, if arguably only through its contact with Italian director Sergio Leone- Yojimbo’s (illegal) re-make in the form of ‘A Fistful of Dollars’ would see the Spaghetti Western rule the scene right up until the 1970s. 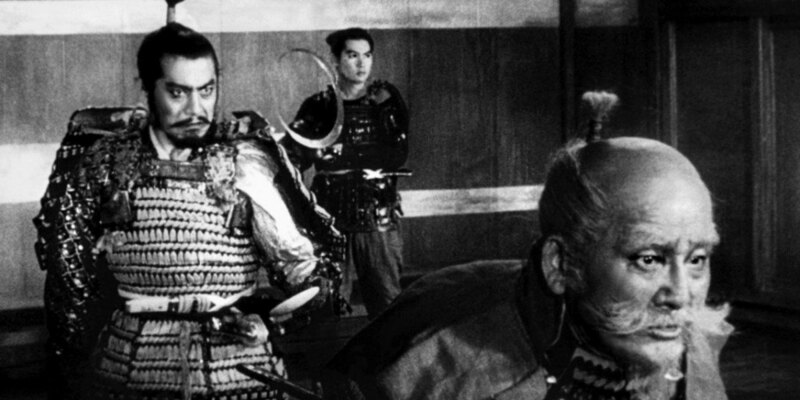 Even so many years later the shadow of Kurosawa’s landmark action flick can be felt on the genre. 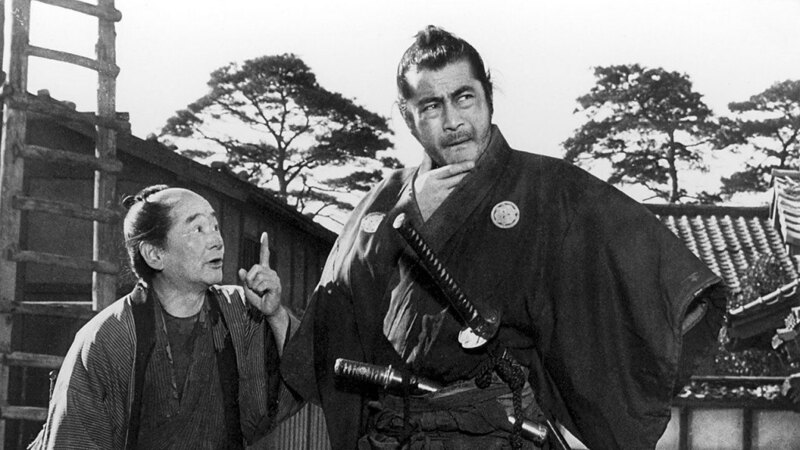 His inviting use of wide angle shots and leitmotif to signal character introductions give way to a uniquely charming and genuinely hilarious work that sees long-time collaborator Toshiro Mifune playing one of his more subdued roles as the sarcastic and visually witty Sanjuro. Kurosawa makes full use of his style to make the simple story of two rival gangs facing off against a poverty-stricken town profoundly polished and consistently compelling. One of the great action movies. 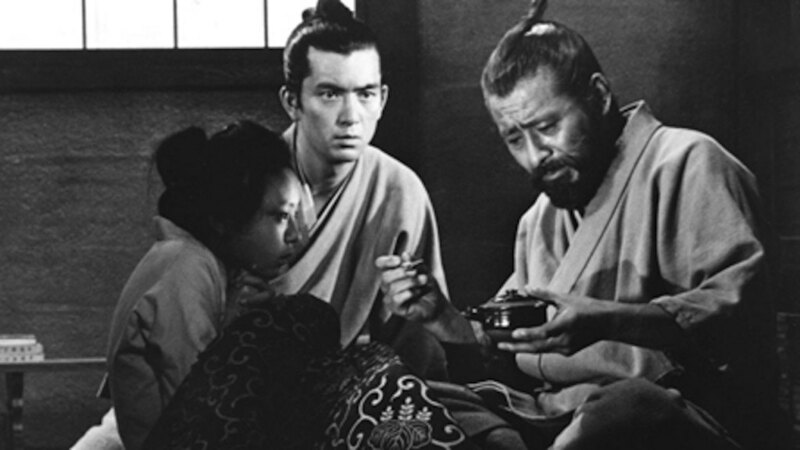 ‘Rashomon’ is a piece all should study regarding the pursuit of complete cinema. Every shot echoes its underlying theme of abstraction- the sun shrouded by branches and leaves, the forest floor carpeted by endless shadows, faces spattered in rain and swordfights sliced apart by endless frenetic cuts. It’s a film that even in its very core breathes the mystery that courses so beautifully through its simple story of a crime told through several different, contradicting silver tounge. 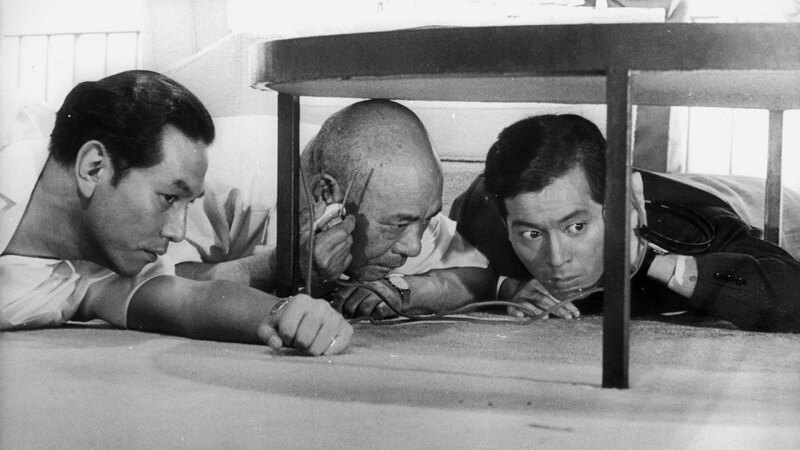 For so early in his career, Kurosawa’s later pessimistic view of humanity shines through the thick brush here: Because if cinema is at heart a pursuit of the truth- then the only truth discovered here is that there is no such thing. Reality is lost to the lying agendas of those who wish to keep it hidden. 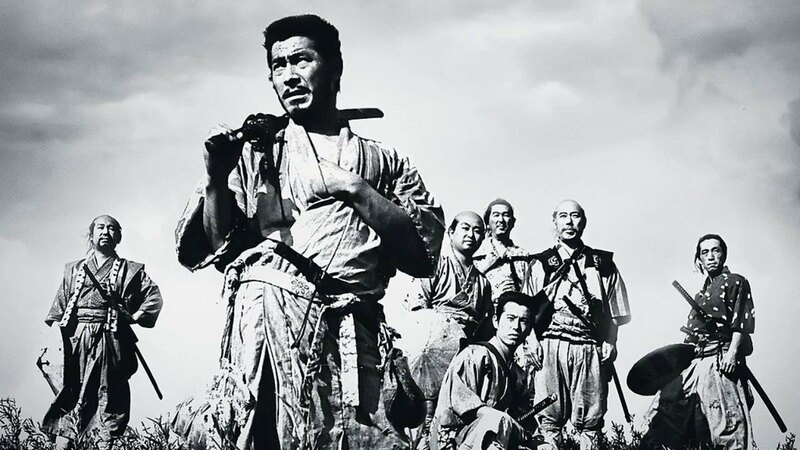 A colossal inspiration piece that laid the foundations for American Action cinema for the next few decades- some of its influences trickling through even to today- ‘Seven Samurai’ is widely regarded as the Kurosawa film. 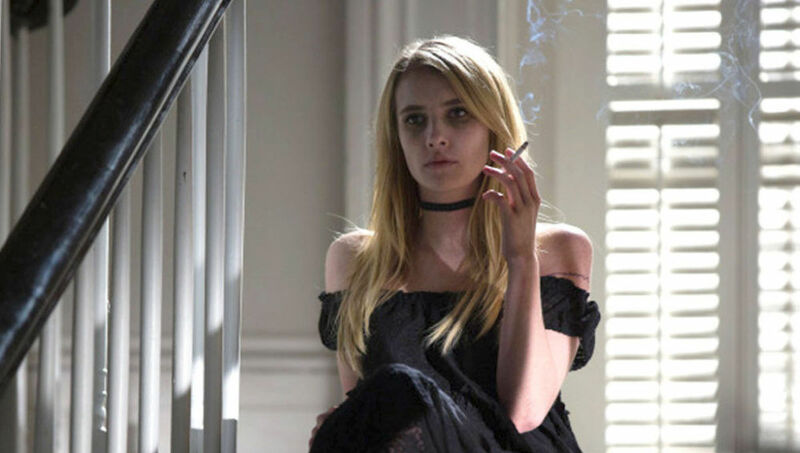 It’s a work that spends a meaty 200-minute runt-time carefully constructing a colorful cast of characters whom all feel fleshed out and important to the story, unlike many comparatively rushed contemporary Hollywood films in which you often wait for certain characters to be killed off. Instead here we are treated to genuine emotional connections to its main players, to the point where Kurosawa can get away with a truly tragic rug-pull ending that I daren’t spoil for those uninitiated with his Samurai classic. 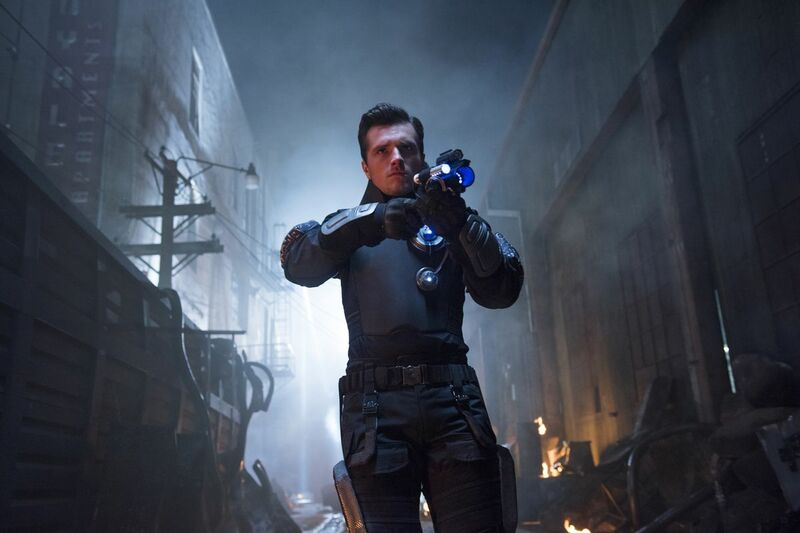 It’s a film that deserves the overwhelming wave of praise it so often receives- though it is not his best work. Akira Kurosawa is a man famous for complex writing, vivid characterization and compelling direction that uses movement and music to evoke a stunning range of emotions. In 1963’s ‘High & Low’, the master reaches the peak of everything he is as an artist. 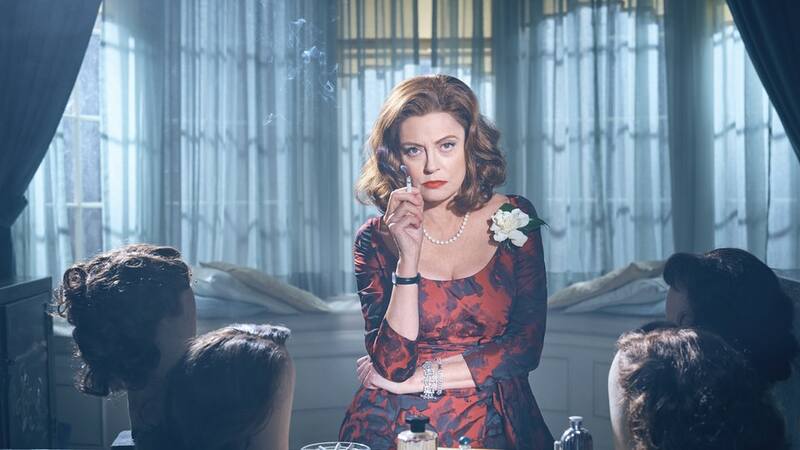 The understated style and authority with which each scene is delivered speaks of a confidence and control that only directors at the top of their games can achieve. We are treated to his most elusive, mysteriously told and ultimately shattering work with one of the greatest endings in the history of cinema- topping even the heart-rending rug-pull of ‘Seven Samurai’. 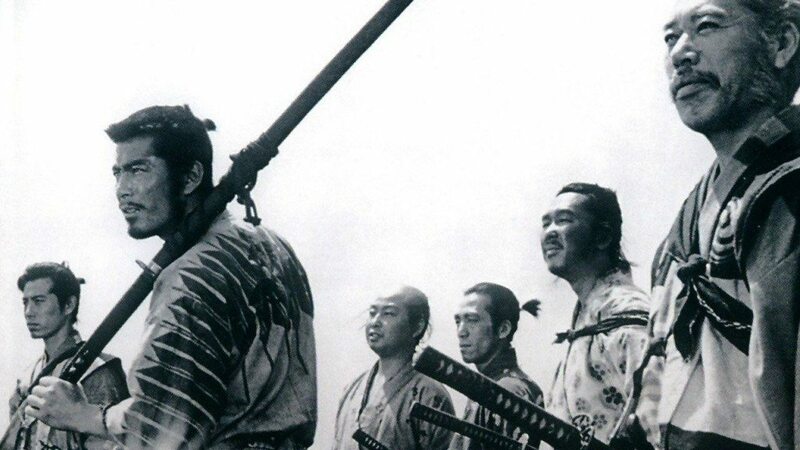 For all the power and prestige of his most famous film, Kurosawa’s samurai epic cannot top his for me. It’s too bold, savage, complete and haunting to be ignored.